The Permaculture of Soil, Part 1. This comment triggered a wave of invisible light-bulbs above the students’ heads as they made the connection between soil and our digestive systems, the connection being microorganisms. Last time I was teaching the ‘soil food web’ on our Design Course I explained that the roots of plants are covered in a coating of bacteria which feed off the roots and are the basis of the soil food chain. I went on to say that the leaves are also coated with bacteria which form a healthy protective barrier against disease. A hand went up and one of the students rightly pointed out that “pretty much everything is coated with bacteria”. It’s true; these bacteria are an important part of our world, and we need to understand that. We are beginning to understand the complexity and importance of our intestinal flora, but still many people are unaware of the complexity of soil life. In recent years scientists such as Dr Elaine Ingham have made great leaps in our understanding of the soil, but you could say we have only scratched the surface. 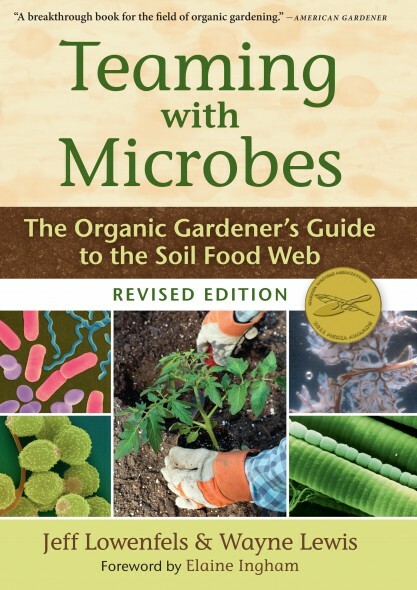 There are some fantastic books available to the layperson who wants to dive in to the subject, and if you’re interested I would highly recommend Teaming With Microbes by Wayne Lewis and Jeff Lowenfells and The Soul of Soil by Joe Smillie and Grace Gershuny, but we don’t need to know all of the science in order to know how to care for the soil. We just need to understand that we must care for it and that in doing so we’re caring for our own future. So what is this incredible substance upon which we are so dependent? It may come as a surprise to see that less than half of soil is made up of mineral – that is particles of the bed rock upon which it is formed. It may also come as a surprise to see that only a maximum of 10% is made up of organic matter. On a conventional arable farm that could be as low as 1%, so all of these proportions are variable, but the chart represents an average fertile soil. In Patrick’s words a fertile soil is one which has the ability to support healthy and abundant growth of plants, and to achieve this it needs all of the above components. Mineral particles and organic matter form into ‘crumbs’ in the top soil and the size and nature of these in different soils is known as the crumb structure. It is the space between these crumbs, known as pore space through which air and water can penetrate and be available to plant roots. A plant ‘breathes’ from every part of its body and therefore needs access to air around its roots. It also needs a constant supply of water both as a nutrient and as an essential part of its body: plant bodies can be 90% water and it enables their vascular system to function. The proportion of air and water contained in the pore space will vary according to the weather – after rainfall it will be largely water, after drought it will be mostly air. Plants can cope with these temporary fluctuations to varying degrees, so long as they are temporary. When soil compaction occurs (compression of the topsoil due to footfall, cattle grazing or machinery) the crumb structure is destroyed and all of the air space pushed out. Waterlogging leaves no space for air in the soil, depriving the roots of carbon dioxide. So that 50% portion of space is vital for plant survival, and that is why you’ll hear growers talking about ‘improving structure’. This can mean relieving compaction, improving drainage or increasing the depth of the top soil. Most plant roots will only grow where they have access to both air and water. The deeper the roots grow, the more potential there is for abundant growth. 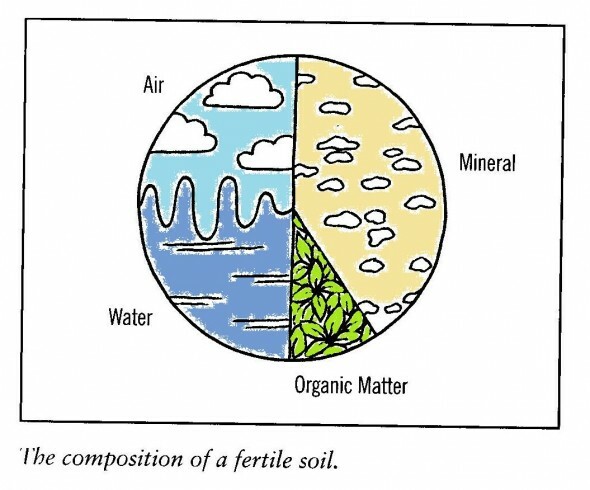 Structure can sometimes be confused with texture, another term used to describe different soil types. While the structure is about how particles are joined together, the texture is about the particles themselves. This is very simple in theory. There are three types of particle – sand, silt and clay. A soil which is dominated by one of these particles is known as that type of soil, for example if it’s predominantly made of sand it’s known as a sandy soil. However, soil is generally a combination of all three in varying proportions (unless you’re on the beach or in a clay quarry!). A fairly even mix is known as a loam, and a mix with a bit more of one type is called a ‘sandy loam’ for example. Different particle types have different characteristics, so it can be helpful to know what type of soil you have so you can care for it appropriately and grow what is suited to it. I haven’t mentioned nutrients yet, and you may be wondering why it wasn’t the first thing on the list. The idea that mineral nutrients such as nitrogen, phosphorus and potassium (N, P & K) are the single most important factor in plant growth has, as Patrick put it “the full force of the advertising industry behind it!” Companies who sell chemical fertilisers would have us believe that’s the case, and by bypassing several millennia of evolution by throwing fossil fuels at it they have succeeded in growing food that way. But in a natural fertile soil there are many parts of the jigsaw, and the thread that connects them is the soil life – those micro-organisms mentioned at the start. In my next post I’ll explain more about soil life and how it works. How chemical fertilisers work is by liberally dowsing the soil with synthesised nutrients (made using fossil fuels), a small percentage of which will make contact with plant roots and be absorbed while the rest is leached away by the rain, ending up in the water system where it becomes a pollutant. Apart from all of the many complaints we might have about this, it’s a highly inefficient way to produce food, requiring huge amounts of energy and water while also causing pollution, loss of biodiversity and food of a questionable quality. Organic matter is the final piece of the pie, and although it’s the smallest it is possibly the most important. Patrick muses that it is the closest thing you can get to a panacea! 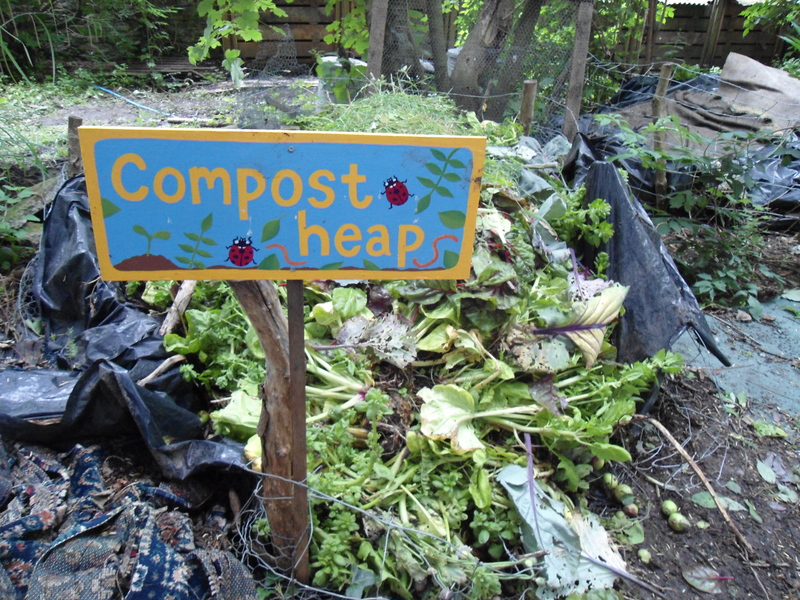 The many reasons for this will be explained in my next post –The Permaculture of Soil. Part 2: The Soil Food Web.